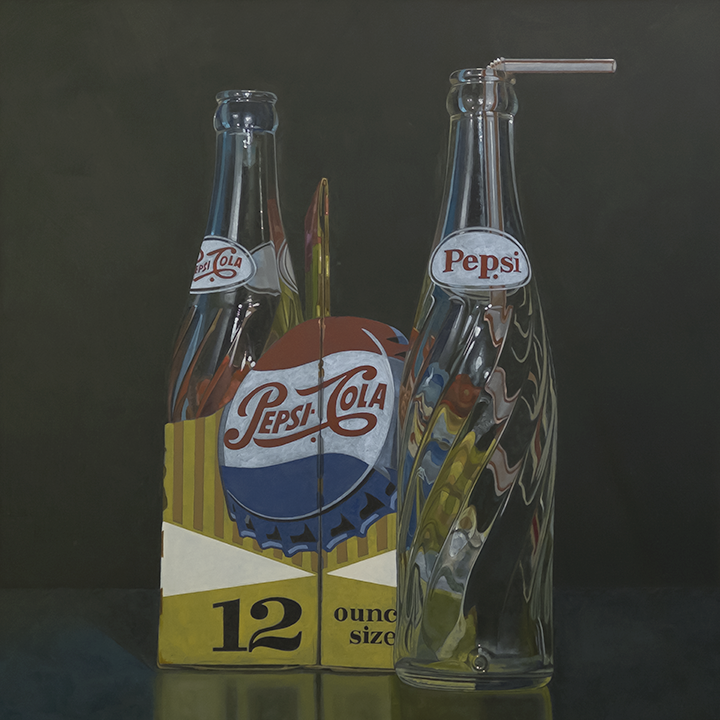 After what seems like an eternity, I finally finished the Pepsi painting. A little under three weeks, with a couple off days of to spend with my brother on his way home from Nassau where he had been working for the Reef Ball Foundation. Now I've got to get busy on a piece for the Mentor show at Principle Gallery in Charleston. Karen shows her work there and they've asked their artists to participate in a event that includes paintings by themselves, an artist who has mentored them and a piece by an artist whom they are currently mentoring. Karen wanted me to participate as her mentor, and her protege will be Munroe d'Antignac. Day eight and the underpainting is finally complete. I was somewhat surprised at how tough this style of bottle was to paint. The concentric spirals were a real challenge. So, now it's back to square one with the start of the second pass. I'm not sure how long this will take to finish, but I'm holding off on any more in progress posts until it's done. I didn't get as much work done in the last few days as I'd hope to, because I had a 24 hour bug. It's weird, but I was sick literally for 24 hours, almost to the minute. That being said I was able to finish up the underpainting on the left bottle and laid in the top of the full bottle. 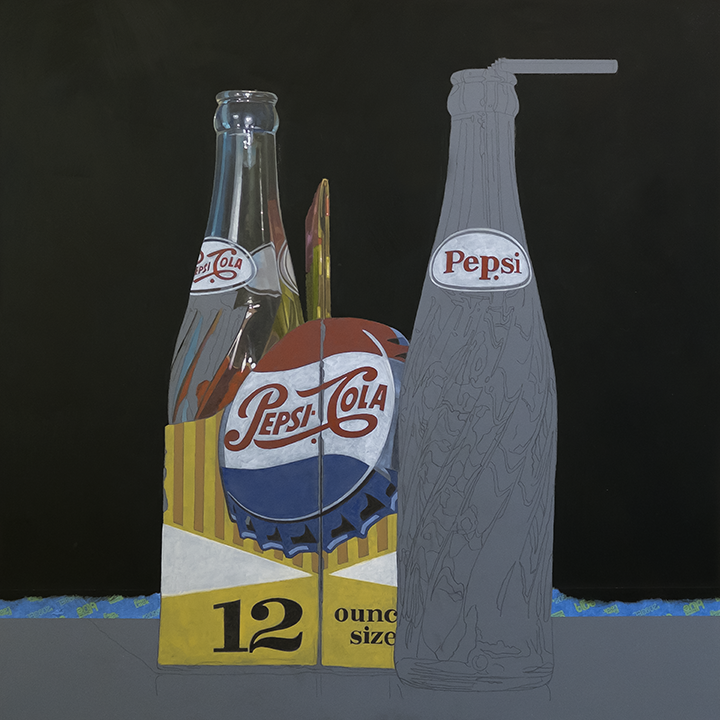 I'm thinking the next post will be the completed underpainting. Moving ahead with the underpainting. Laid in more of the carrier and the labeling on the bottles, plus I added the first pass of the background and began working on the glass. Breaking with tradition here and trying my hand at a Pepsi composition. A commission from my gallery owner in New York. 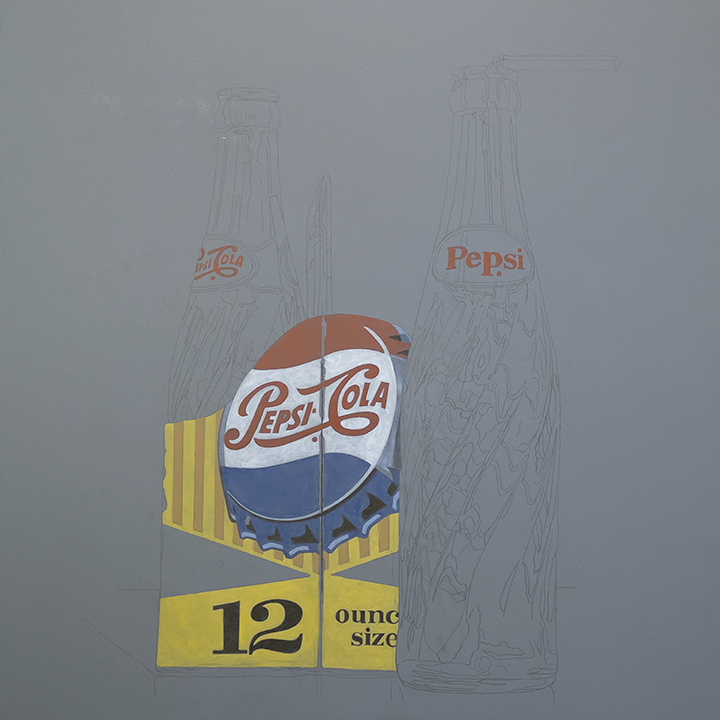 He wanted a companion piece to go with a Coke painting I did for him a couple of years back. I worked in acrylic up to this point, but never again. I don't know how acrylic painters do it. Paint dries way too fast for my taste. Today it's back to my beloved oils.